Can My Mortgage Company Refuse Payments? A lender cannot move forward with foreclosure unless they first try to contact the borrower and suggest options that are available to avoid losing the home in a trustee sale. If your lender refuses to accept your mortgage payments, you should call a lawyer. Your lender refuses to accept or apply your monthly payments even though you send them to the lender. If you have fallen behind on mortgage payments and you are facing foreclosure it is common for the lender to send a notice of default with an amount that you must pay to catch up. Your mortgage company may refuse payment from you if they have started the foreclosure process. They may attempt to collect the full amount of arrears that you owe to bring your account up to date. If you go to court, you can force the lender to accept payments and start a payment plan to catch up. Dispute the amount that your lender is claiming or enter into a payment plan to catch up. Once the foreclosure process has begun with the notice of default, your lender is required to accept monthly payments if you file for bankruptcy, and you enter into a Chapter 13 plan. Your lender is also required to accept payments if you are approved for a loan modification. Refusal to accept payments in either case is grounds for a legal complaint and you should talk to a foreclosure lawyer about how to move forward. Once you fall behind on mortgage payments, it is nearly impossible to refinance your home mortgage. Your best bet is to start looking into loan modification programs with your lender and to talk to a foreclosure lawyer if you have been denied for hardship assistance. Unable to Make Your Monthly Payments on Your House? By now, most people have been affected by the economic downturn and have lost a job or suffered an illness that makes it difficult to keep up with mortgage payments. A loan modification is a voluntary offer for assistance by your lender which is intended to lower your mortgage payment to an affordable level. If you have been denied for assistance by your lender, mortgage litigation is possible depending on your situation. It is best to seek legal advice and discuss your case with California foreclosure lawyers who are handling this type of law. Consumer Action Law Group helps homeowners who are fighting to save their homes by filing lawsuits based on illegal lending practices. If you think that you may be the victim of wrongdoing by your lender, call to schedule a free meeting with a foreclosure attorney at Consumer Action Law Group today. 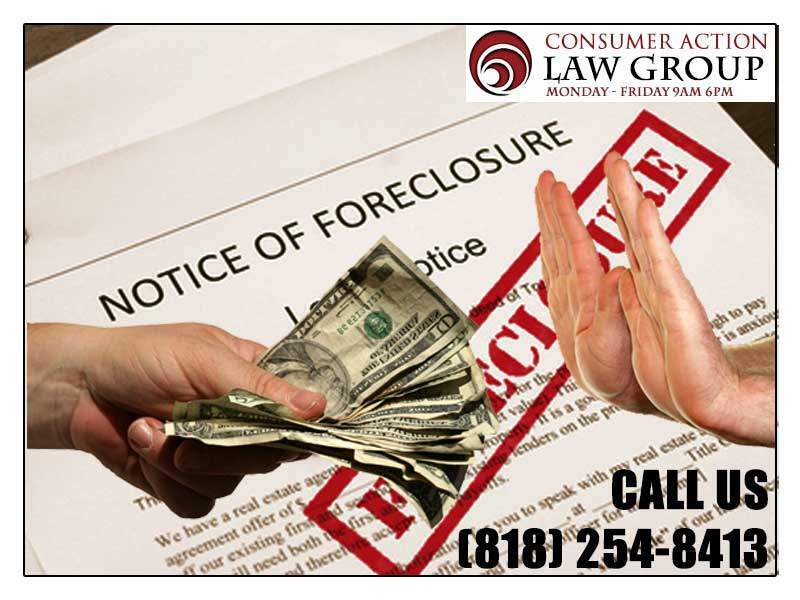 If you are behind on mortgage payments and you want to avoid foreclosure, it is best to talk to one of the foreclosure lawyers in Los Angeles at Consumer Action Law Group and schedule a free meeting to discuss your case. We help people file for bankruptcy and sue lenders to save their homes. When you meet with the foreclosure attorneys at Consumer Action Law Group, we discuss estimated mortgage payments that may be affordable. We look at how many months behind on mortgage payments you are, and we present legal solutions that are best for you, in your situation. 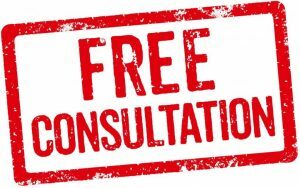 The best way to see if this makes sense for you is to call Consumer Action Law Group and schedule a Free Legal Consultation today. A lender cannot move forward with foreclosure unless they first try to contact the borrower and suggest options that are available to avoid losing the home in a trustee sale.